Infant up to 1 year can avail special benefits in Darshan. 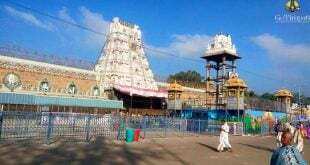 Infant and His/Her Parents are allowed for Darshan via Supadam. Special Entry Darshan is available for Infant and His/Her Parents right from 8:30 am – 10:30 am and 12 pm – 6 pm. 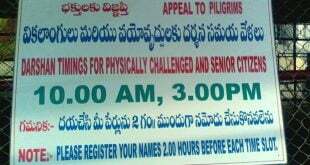 Not during Seva Timings ( Like Kalyanotsavam, Arjitha Brahmotsavam, Sahasra Deeplankara Seva). All these seva ticket holders are also allowed through Supdam Entrance. Infant and Parents are allowed After Seva Ticket Holders Darshan Time. It is always advisable to carry Age proof for the Infant, like Birth Certificate or any other certificate to prove Infant’s age. If Infant is close to a year then T.T.D staff may demand Age proof at the Supadam Entrance. Supadam Special Entrance is less crowded than General Queue, Only privileged people do have access to this Entrance. Supadam entry is free of Cost for Infant (Under 12 months), Infant’s parents and Siblings ( under 12 years of age). 4) The ticket is not required for Infant and His /Her Parents Entry via Supadam. 5) Only parents are allowed along with Infant, no other relatives are allowed. 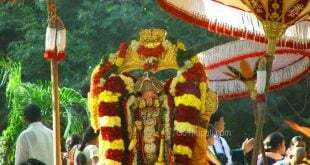 6) No waiting time for Supadam Darshan. Darshan line will be later mixed with the running queue line at the last compartment. If you have any queries or comments on Infant Entry in Tirumala, please leave your comment below, we will get back to you at the earliest. You need to book the special darshan online . Only kids under 12 months are considered as senior citizens . Only mother and father of infant baby are allowed to have darshan .